Wake on LAN (WoL) is a technology that permits someone to turn ON a computer remotely. 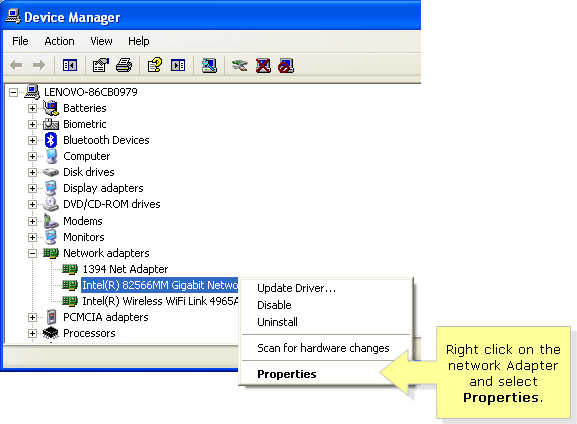 The network adapter on the computer listens to network activity and will turn the computer ON once it receives a special data packet called a “Magic Packet” that triggers the boot up. 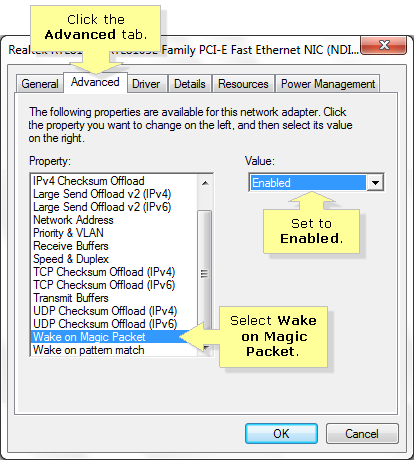 Wake on LAN is also referred to as Remote Wake-up. NOTE: For information if your operating system supports WoL, you may contact the manufacturer’s technical support. 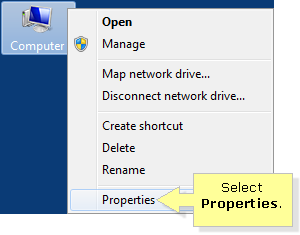 Right-click the Computer icon and select Properties. Click the arrow beside Network adapters to expand the category. 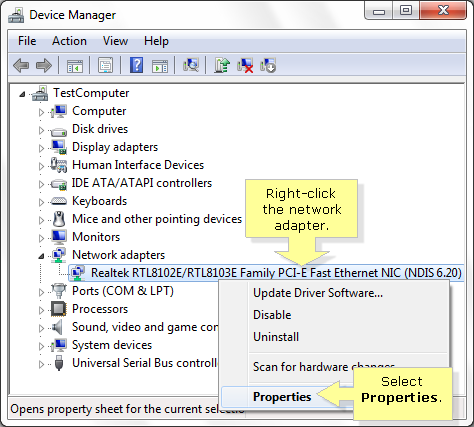 Right-click the network adapter of your computer and select Properties. Click the Advanced tab. 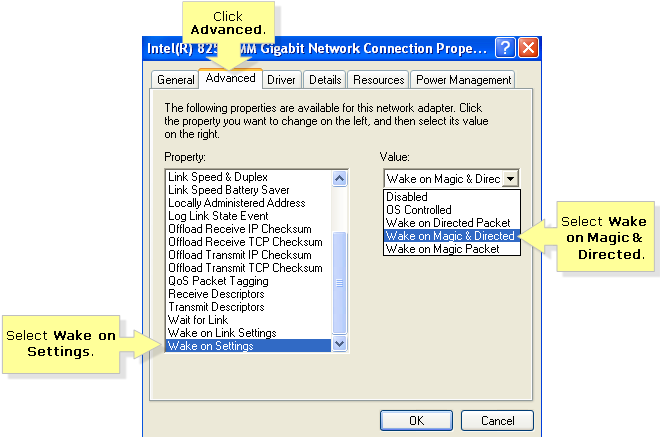 Under Property, select Wake on Magic Packet with Value set to Enabled. 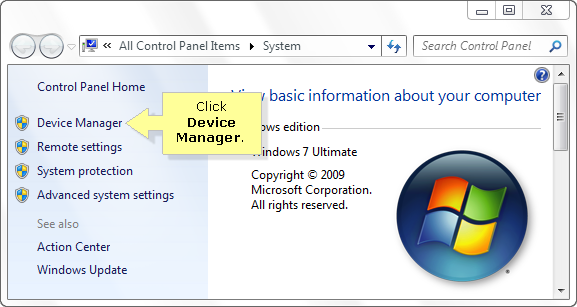 Click Device Manager, right-click on the network adapter and click on Properties. Select the Advanced tab. Under Property, select Wake on Settings with the Value set to Wake on Magic & Directed.